Draft: 2010, Arizona Diamondbacks, 11th rd. Full name MICHAEL BARRETT FREEMAN...Wife, Caroline... Daughter, Savannah...Attended the University of Georgia and Clemson University ...Graduated from Clemson University after being named 2010 All-ACC Second-Team....Played for Brewster in the Cape Cod League in 2008 and earned the league's citizenship award... Also garnered All-Academic ACC honors from 2008-10... 2006 graduate of Edgewater (Orlando, Fla.) High School...Hobbies include hunting, reading, watching football and playing golf....Grew up an Atlanta Braves fan, Jeff Blauser and Chipper Jones being his favorite players...Also enjoyed watching Brian Roberts and Omar Vizquel. Spent most of the year at Triple-A Iowa in his second season in the Cubs organization...Sidelined nearly two months, June 21-Aug. 17 with a right knee meniscus injury that required surgery... Rehabbed with the AZL Cubs in August...Selected by the Cubs, September 22, after spending the entire season in the minors...Appeared in one game for the Cubs on September 26 vs. Pittsburgh ...Entered to play second base in the ninth inning ...Had a sacrifice bunt in the bottom of the 10th to move the eventual game-winning run into scoring position ... At Iowa appeared in 55 games at shortstop, 16 games at second base, 4 games in center field and 1 game at third base... Upon returning from the knee injury he batted .316 (18-for-57) with 5 2B, 1 HR and 11 RBI in 16 games to end the season... Batted .284 (33-for-116) with runners on base. Mike appeared with six teams, playing for both the Triple-A and major league clubs in the Seattle, Los Angeles (N.L.) and Cubs organizations ... signed with Chicago in August and appeared in 15 games with the Cubs in September... Batted a combined .100 (6-for-60) with two doubles and one homer in 35 major league games with the Mariners (16 games), Dodgers (4 games) and Cubs ... hit his first-career homer April 12 vs. Houston while with Seattle... Made his first-career pitching appearance with Seattle in a 16-1 setback, May 20 vs. the White Sox ... allowed one run on three hits in 1.0 inning... Spent most of the campaign at Triple-A, combining to bat .306 (79-for-258) with 10 doubles, three homers, 31 RBI and a .380 on-base percentage in 80 games between Tacoma, Oklahoma City and Iowa... Began the season in the Mariners organization ... was claimed off waivers by the Dodgers, May 26 ... elected free agency, August 5, and signed a minor league contract with the Cubs the following day ... was selected to the Cubs, September 1... Was designated for assignment by the Cubs, October 26, and re-signed with the club on a minor league contract, November 20. MLB Totals - Hit .227 (5x22) with 1 run, 1 double and 1 RBI in 21 games with Seattle (13 G) and Arizona (8 G)... With Seattle - Went 5-for-13 (.385) with 1 run, 1 double and 1 RBI in 13 games over three stints (8/7-9, 8/25- 27 & 9/12-10/2) with Seattle... Arrival - Claimed off waivers from Arizona on Aug. 1...recalled from AAA Tacoma Aug. 7; made Seattle debut that day vs. Angels... Debut - MLB debut July 17 with Arizona…went 0-for-9 with 2 walks in 8 games with Arizona... Big Day - First Major League hit and his first RBI in Mariners debut, Aug. 7 vs. Angels...AAA Recap - With AAA Reno (Arizona), hit .317 (108x341) with 56 runs, 17 doubles, 6 triples, 1 home run, 24 RBI, and a .387 on-base mark in 88 games…in 26 games with AAA Tacoma, hit .305 (32x105) with 15 runs, 6 doubles, 3 home runs, 15 RBI, a .378 on-base mark. 29 stolen bases...Named to the Southern League midseason All-Star Team...Tied for sixth in the SL in stolen bases and tied for ninth in walks (65)...Played with Salt River in the Arizona Fall League, hitting .268 (15-for-56) with 10 RBI...Entered the season ranked by Baseball America as having the Best Strike Zone Discipline in the D-backs' system. Appeared in 135 games with Single-A Visalia, hitting .309 (166-for-537) with 24 doubles, 5 triples, 3 home runs, 59 RBI and 30 stolen bases...Ranked among California League leaders in hits (1st), games played (1st), runs scored (6th, 91), stolen bases (7th) and average (11th). Hit .261 (67-for-257) with 15 doubles and 27 RBI in 70 games with Single-A South Bend...Placed on disabled list with sprained left knee on July 2 and missed the remainder of the season. Made his professional debut with Short-Season A Yakima and batted .333 (63-for-189) with 9 doubles, 1 home run, 23 RBI and 20 stolen bases...Ranked among the Northwest League leaders in average (2nd), on-base percentage (.403) and stolen bases (T-4th). 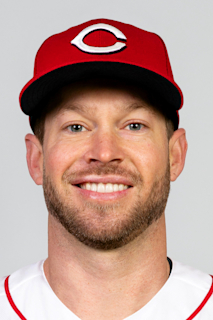 April 16, 2019 Cleveland Indians selected the contract of SS Mike Freeman from Columbus Clippers. April 3, 2019 SS Mike Freeman assigned to Columbus Clippers. November 20, 2018 Cleveland Indians signed free agent SS Mike Freeman to a minor league contract and invited him to spring training. November 2, 2018 Chicago Cubs sent SS Mike Freeman outright to Iowa Cubs. September 22, 2018 Chicago Cubs selected the contract of SS Mike Freeman from Iowa Cubs. August 17, 2018 Iowa Cubs activated SS Mike Freeman from the 7-day disabled list. August 10, 2018 Iowa Cubs sent SS Mike Freeman on a rehab assignment to AZL Cubs 1. June 22, 2018 Iowa Cubs placed SS Mike Freeman on the 7-day disabled list. Knee injury. November 20, 2017 Chicago Cubs signed free agent SS Mike Freeman to a minor league contract and invited him to spring training. November 20, 2017 SS Mike Freeman assigned to Iowa Cubs. November 6, 2017 SS Mike Freeman elected free agency. November 2, 2017 Chicago Cubs sent SS Mike Freeman outright to Iowa Cubs. October 26, 2017 Chicago Cubs designated SS Mike Freeman for assignment. October 20, 2017 Chicago Cubs activated SS Mike Freeman. October 6, 2017 Chicago Cubs reassigned SS Mike Freeman to the minor leagues. September 1, 2017 Chicago Cubs selected the contract of SS Mike Freeman from Iowa Cubs. August 6, 2017 Chicago Cubs signed free agent 2B Mike Freeman to a minor league contract. August 6, 2017 SS Mike Freeman assigned to Iowa Cubs. August 5, 2017 2B Mike Freeman elected free agency. August 4, 2017 Los Angeles Dodgers designated 2B Mike Freeman for assignment. July 1, 2017 Los Angeles Dodgers optioned 2B Mike Freeman to Oklahoma City Dodgers. June 25, 2017 Los Angeles Dodgers recalled Mike Freeman from Oklahoma City Dodgers. May 26, 2017 Los Angeles Dodgers claimed 2B Mike Freeman off waivers from Seattle Mariners. May 26, 2017 Los Angeles Dodgers optioned 2B Mike Freeman to Oklahoma City Dodgers. May 21, 2017 Seattle Mariners optioned 2B Mike Freeman to Tacoma Rainiers. May 5, 2017 Seattle Mariners recalled Mike Freeman from Tacoma Rainiers. April 24, 2017 Seattle Mariners optioned 2B Mike Freeman to Tacoma Rainiers. April 21, 2017 2B Mike Freeman assigned to Oklahoma City Dodgers. April 11, 2017 Seattle Mariners selected the contract of Mike Freeman from Tacoma Rainiers. March 4, 2017 Seattle Mariners sent 2B Mike Freeman outright to Tacoma Rainiers. March 1, 2017 Seattle Mariners designated Mike Freeman for assignment. September 12, 2016 Seattle Mariners recalled 2B Mike Freeman from Tacoma Rainiers. August 27, 2016 Seattle Mariners optioned 1B Mike Freeman to Tacoma Rainiers. August 25, 2016 Seattle Mariners recalled Mike Freeman from Tacoma Rainiers. August 9, 2016 Seattle Mariners optioned Mike Freeman to Tacoma Rainiers. August 7, 2016 Seattle Mariners recalled Mike Freeman from Tacoma Rainiers. August 1, 2016 Seattle Mariners claimed 1B Mike Freeman off waivers from Arizona Diamondbacks. August 1, 2016 Seattle Mariners optioned 1B Mike Freeman to Tacoma Rainiers. July 30, 2016 Arizona Diamondbacks designated 1B Mike Freeman for assignment. July 29, 2016 Arizona Diamondbacks optioned 1B Mike Freeman to Reno Aces. July 17, 2016 Arizona Diamondbacks selected the contract of Mike Freeman from Reno Aces. March 4, 2016 OF Mike Freeman assigned to Arizona Diamondbacks. September 26, 2015 OF Mike Freeman assigned to Navegantes del Magallanes. July 20, 2015 Reno Aces activated 1B Mike Freeman from the 7-day disabled list. July 16, 2015 Reno Aces sent OF Mike Freeman on a rehab assignment to Hillsboro Hops. June 29, 2015 Reno Aces placed OF Mike Freeman on the 7-day disabled list retroactive to June 27, 2014. March 8, 2015 2B Mike Freeman assigned to Arizona Diamondbacks. June 3, 2014 OF Mike Freeman assigned to Reno Aces from Mobile BayBears. January 8, 2014 Arizona Diamondbacks invited non-roster 2B Mike Freeman to spring training. March 5, 2013 SS Mike Freeman assigned to Arizona Diamondbacks. September 7, 2012 2B Mike Freeman assigned to Mobile BayBears from Visalia Rawhide. April 1, 2012 Mike Freeman assigned to Visalia Rawhide from South Bend Silver Hawks. March 18, 2012 SS Mike Freeman assigned to Arizona Diamondbacks. September 21, 2011 Mike Freeman roster status changed by South Bend Silver Hawks. April 2, 2011 SS Mike Freeman assigned to South Bend Silver Hawks from Yakima Bears. March 2, 2011 SS Mike Freeman assigned to Arizona Diamondbacks. July 6, 2010 Mike Freeman assigned to Yakima Bears from Arizona Diamondbacks. July 5, 2010 Arizona Diamondbacks signed SS Mike Freeman.